Why do SO many businesses fail their first year? In spite of idealized success, it’s a consistently proven fact that almost 50% of all businesses FAIL within the first 12 months. In fact, about 80% of all businesses fail within the first five years. Of the remaining 20%, 80% of them will fail in the NEXT five years…a 96% FAILURE RATE within the first 10 years. Yet, some businesses succeed far beyond the statistical norm. So, what can YOU do to put the tiny odds of success in your favor? Most people know that an important step to begin a new business is to write out a business plan. The biggest problem with a business plan is that it is typically a compilation of subjective material designed to support an entirely emotionally-based decision-making process (no matter how logical and objective we think it is). Believe me …I’ve seen LOTS of plans and even written a few for myself. And, let’s face it: We come up with a ‘brilliant’ idea, then look for all sorts of data sources that support and prove our assumptions about the market demand for our idea, the brilliant people on our team, 5-year forecast and revenue model, and so forth. Steve Blank wrote and excellent post that describes the difference between a business plan and a business model. The business model shows how all the different parts of your business actually sync together as the gears are turning. The MODEL creation step also incorporates developing a real-world testing model, such as landing pages, keywords and customer acquisition costs to gather hard-core, preliminary data. Both are necessary, yet few start-ups ever develop initial real-world scenarios to see if their idea or projection costs are actually viable. 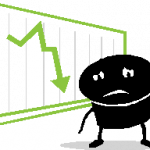 Are your “worst case” scenarios REALLY worst case? As a marketer who has consulted with countless businesses about their online strategy, I can’t begin to tell you how many genuinely sharp-minded business people simply budget for “online” with zero modeling or testing …blindly assuming that the idea they implement will simply work the first time through. 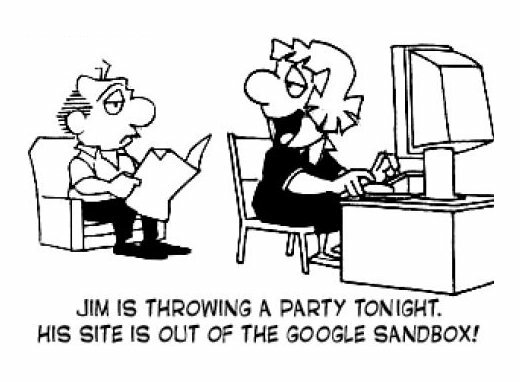 Then, they’re surprised when, for example, their sites are sandboxed by Google (or worse) for 6 to 12 months -a potentially fatal oversight to their business. I fully agree with Steve that, while it’s necessary and highly beneficial to completely think things through in your head and compile them into a formal profitability plan for your new business, you must also go out and gather external, measurable, tangible real-world data from a scaled-down model before you begin day one.